Earth Horizon Production’s latest project ‘A Burning Question’, which sees Duncan Stewart examine the perceptions of climate change, will premiere on RTÉ One on Tuesday 29th of June. 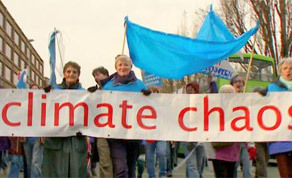 The documentary features interviews with Mary Robinson, UN Secretary General Ban Ki-Moon, David McWilliams, eminent Irish climate scientists, journalists, academics and many more. Earth Horizon are currently in pre-production of their long running shows ‘Eco Eye’ (series 9) and ‘About the House’ (series 11). ‘A Burning Question’ - RTE1 at 10:10pm on Tuesday the 29th of June 2010.